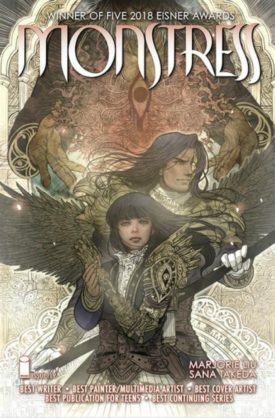 On Thursday the last issue of Monstress’s third arc went off the printer. Sana Takeda poured her heart into the art — it’s a beautiful issue. All of her work is beautiful, and to me it keeps becoming more so — deeper and lovelier, and magical. I always have mixed feelings about my own writing, but there were a couple emotional beats that I was finally able to get on the page — beats that I’ve been waiting to write, beats that I kept trying to insert into the book before the characters were ready (and I’d subsequently delete them, realizing everyone needed to “cook” a little more). Finally it felt right. I was talking with someone the other day about the difference between writing novels and comics, about the particular three-dimensionality of writing in a visual medium where stories are broken up into a series of carefully chosen moments. Each time I write a comic I have to hold the story up, turn it over, look at it from every angle — I do this with the characters, the plot, the world. Writing novels is simple in comparison (and writing novels is really really hard) because, even though it’s a series of choices, there’s not as much to lose if you make the wrong choice. It’s easy to hide narrative mistakes in novels. Not so much with comics. And I love that. I love the challenge. I love everything about this medium and the collaborators I’ve been blessed to work with. NYX: No Way Home #1 came out in August 2008, which means I’ve been writing comics for a little over ten years. TEN YEARS. There are plenty of people who have written them for much longer than that, but ten years feels like a milestone. I was just shy of thirty years old when I started, knew nothing about the industry or how to write comics — other than I loved reading them. There were few women writers, even fewer women of color — and I was very happily a romance novelist. And yet, and yet. Sometimes you just have to take a leap. Sometimes you have to sink your teeth into something new because it feels right, because it’s a quiet passion. I had no way of knowing how writing comics would change my life, how creating in that medium, collaborating with so many genius artists, would bring me so much joy and introduce me to such wonderful, amazing people. 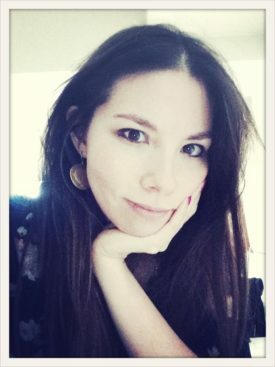 I have spent the last ten years inspired to become a better, different writer because of comics — whole new worlds have been opened to me as a writer, simply because I had the opportunity to step off the path of prose (which I’ll be returning to) and onto the path of comics (which I’ll never leave). So, thank you. I love you all — big-hearted readers, fellow creators, editors, retailers, letterers, colorists, publishers — everyone who makes this industry come alive in such beautiful ways. I am so grateful to you all. 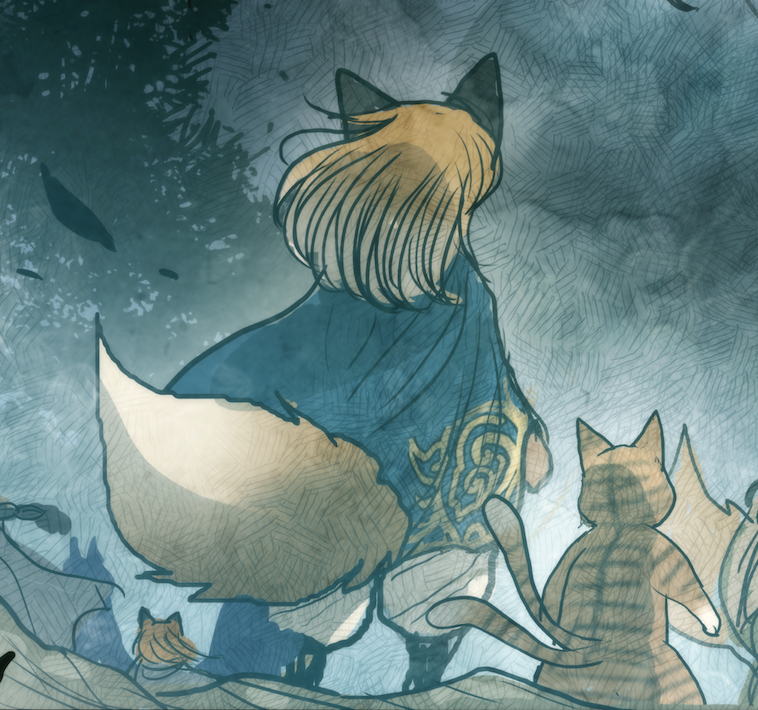 Here’s a peek and Monstress #18 — if you read #17, then you might have an idea of what Ren and Kippa are staring at.